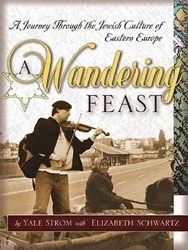 An original and uplifting view of a world lost, reborn, and rediscovered -- This is a delightful book that welcomes the reader to a wonderful journey through the Jewish culture of Eastern Europe: the still-vibrant villages and homes, the Yiddish folkways, the toe-tapping Klezmer music, and heart-warming traditional food. Yale Strom documented his journey--organized around fourteen specific visits to authentic villages in Eastern Europe--with a fascinating travelogue that includes inspiring stories, photographs, music that has never been printed, and recipes. He reveals that a culture long feared to be gone forever is still very much alive.